God loves His children this is the reason He has mandated the Jesus Calls ministry to pray for their blessing and deliverance, that they may acknowledge the greatness of the Lord and seek Him in holiness. The Vellore New Year Blessing Meeting was a great blessing to the thousands who gathered. On the 6th morning the Dhinakarans met with the Organizing committee members and their families for a time of prayer and fellowship. It is the dedication and hard work of the organizing committee members which makes every Blessing Meet to be a source of blessing to numerous people. 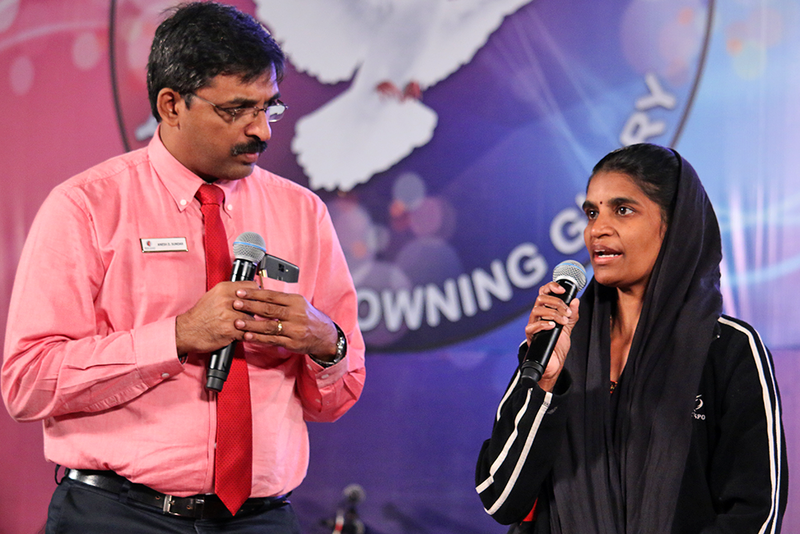 Dr. Paul Dhinakaran and Sister Evangeline Paul Dhinakaran greeted them and prayed for them in person after delivering encouraging word of God. Thousands of people thronged at the DE BOER Campus ground, Vellore to witness the marvelous work of our Lord. Jesus Calls Ministry has constantly been praying for the deliverance of the people. Many miracles and testimonies of deliverance take place in such meetings resulting in answered prayers. The Holy Spirit descended upon the people like a mighty wind. During the prayer, God’s anointing was so powerful and everyone could feel the divine presence of God. The students of Karunya University stood as a great support in all these meetings, leading the gathering in praise and worship and also in praying for them individually, anointing them with prayer oil. 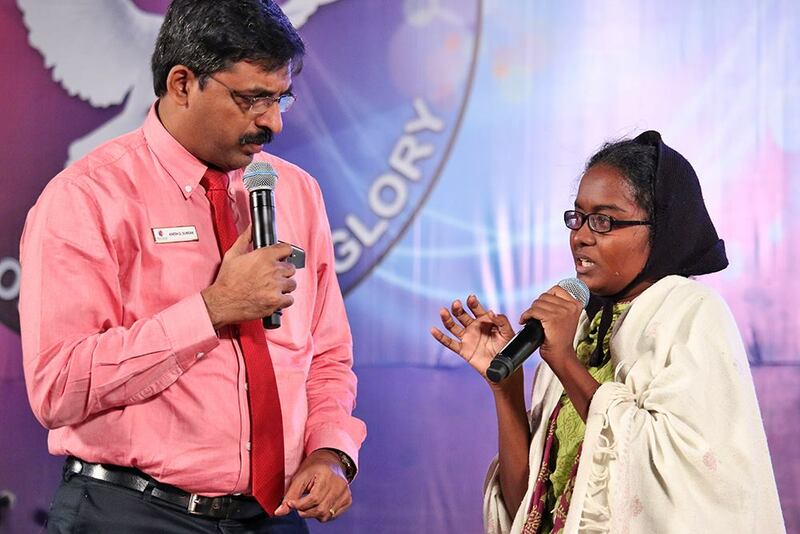 Dr. Paul Dhinakaran and Sister Evangeline Paul Dhinakaran shared the powerful word of God. This year, 2018, will be the year of crowning glory. God will crown this year, with His goodness. He will compensate for every blessing that you may have lost in the previous year. Encouraged the crowd, to not to fear, as God will provide for all their needs. God will grant prosperity and success in all your undertakings. Preethi was under demonic oppression. 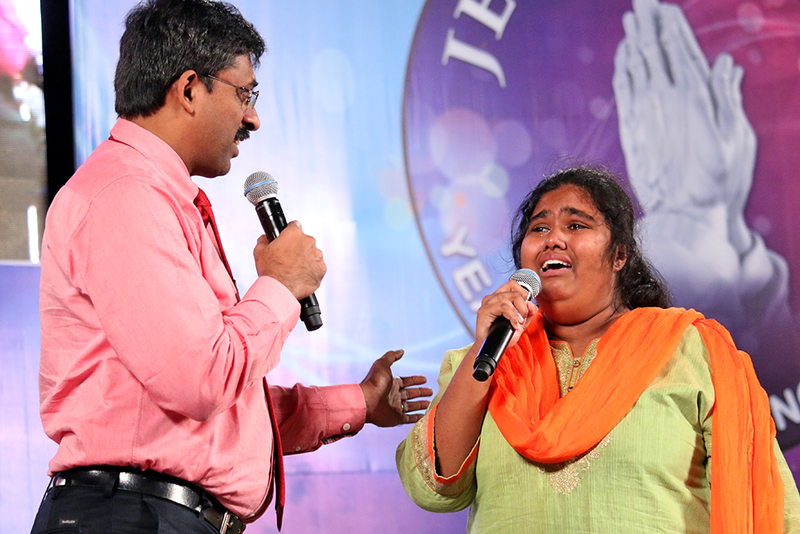 She was delivered at the Vellore Blessing Prayer Meeting. She strode to the stage, soaked in the presence of the Holy Spirit. She testified that she felt the touch of the Holy Spirit, assuring her deliverance. She also felt a crown being placed on her which made her exuberant, yearning to testify the greatness of our Lord. Suganthi was overjoyed as the Lord enabled me to call her out by name and delivered her from uncontrolled anger which led to severe head ache. She was praying that God must deliver her from her extreme temper. She testified that she was filled with uncontainable joy as the Lord spoke to her clearly, pointing out the issues of her life. The Holy Spirit revealed the name 'Dorothy' and restored her faith in God. Dorothy visited Jesus Calls Prayer Towers frequently and walked close with God until she faced humiliation because of her debts. She was angry at God for not answering her prayers. God spoke to her clearly, saying "Dorthy, God is uprooting your anger. The Holy Spirit is coming upon you. You are becoming a new person". Dorothy was anointed by the Holy Spirit and testified that she would forever remain strong in her faith. Prarthana found herself depressed and often wanted to end her life. She was greatly comforted by the words our Lord spoke through me in a Jesus Calls Television program, telecasted on RajTV. She was filled by the Holy Spirit as she testifying How the Lord blessed her in double measure of all that she had lost. She is thankful to the Lord for enabling her to pursue BA LLB in Govt. Law College and also for enabling her to attend the Blessing meeting by healing her stomach ache and vomiting, which she had in the past 5 days. Kathiravan and his wife Mahalakshmi were heartbroken as they were not able to have a child for 12 years. The doctors said Mahalakshmi's uterus was weak and they spent over 5 lakh rupees on treatment but it gave no positive outcome. 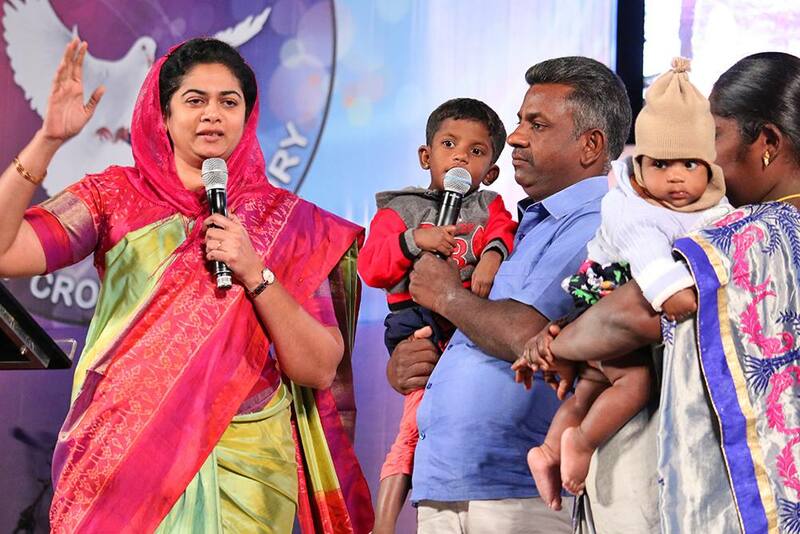 Kathiravan and his wife attended the New Year Blessing Meeting in the year 2014 at MCC School ground. At that time, the Spirit of God enabled me to prophesy that 'all the married couple looking to have a child will be blessed with a child, before the end of the year 2014.' God is so true to His word! He blessed this couple with a child in that same year and added another child to their blessing, in the last year. They thanked the Lord Almighty and testified their miracle to the great multitude.